Make a wish, give a wish. 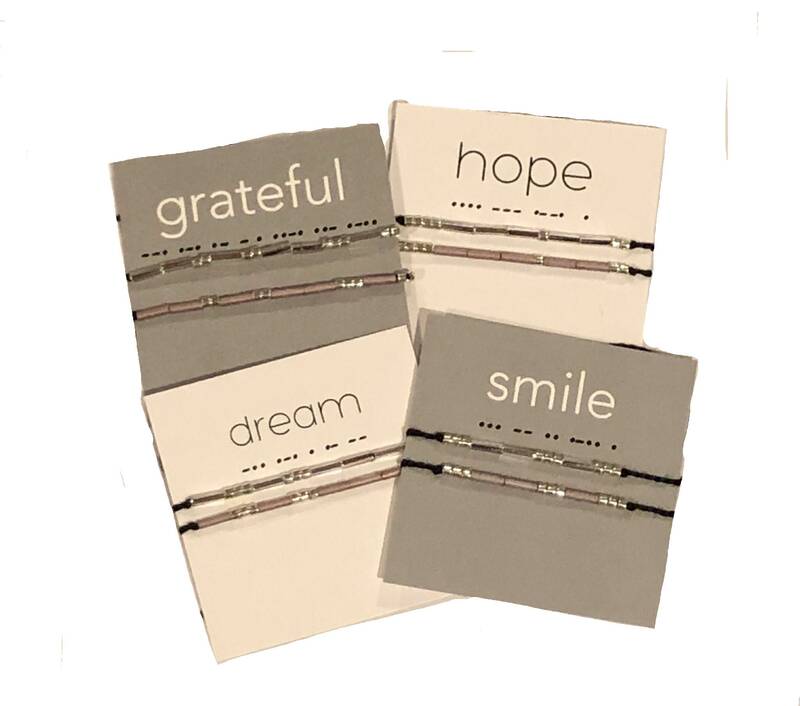 These Wish Bracelets spell a special message in Morse Code. 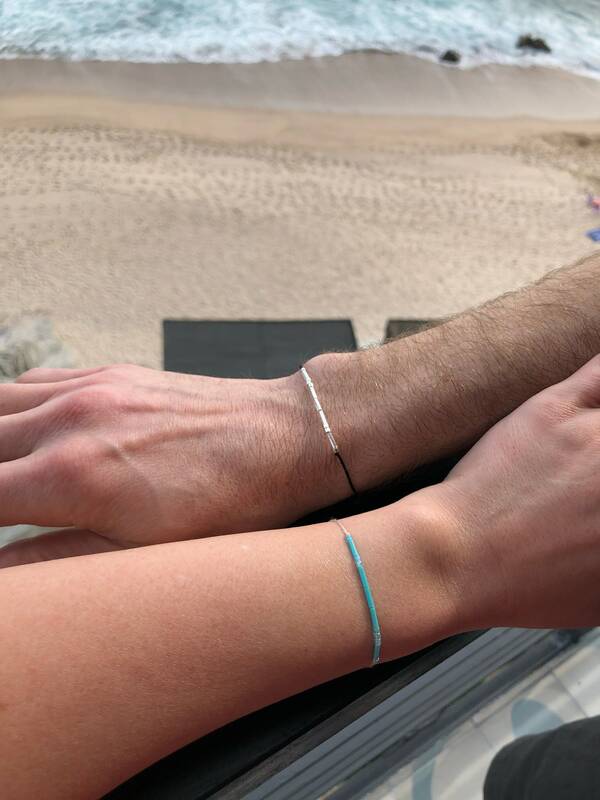 They are sold in unity pairs to share with that special someone your support, your love, and your friendship. as you tie this bracelet on your wrist. 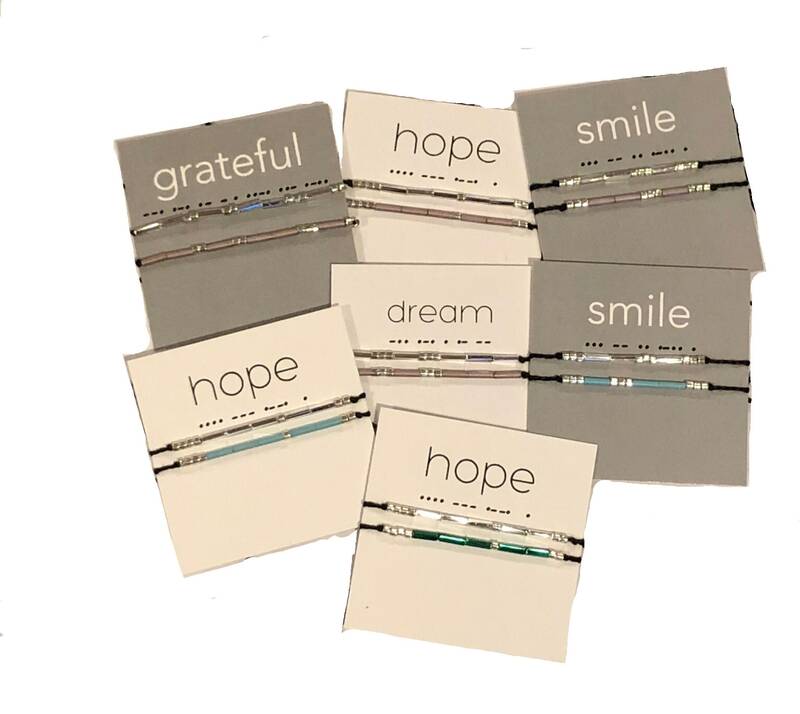 Ideal for anyone who wants a simple reminder each day that each day is a gift. Great for birthdays, grads, teams, charity fundraisers, friends, favors for special occasions, and stocking stuffers. The colors mean something too! Customization welcome. Please indicate the desired message or color coordination (please - no more than 10 characters including spaces) in the memo field. Bracelets last approximately 4-6 months.